Borussia Dortmund vs Monaco predictions for Wednesday’s Champions League clash at the Signal Iduna Park. Monaco hope to get their season back on track with a Champions League win against favourites Borussia Dortmund. Read on for all our free predictions and betting tips. 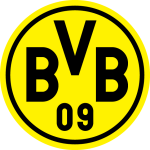 Borussia Dortmund suffered a dismal Champions League campaign last season as they were eliminated from the group stages having failed to win a single one of their six group matches. Their only points came in draws against APOEL, so when they were drawn alongside Atletico Madrid and Monaco this season things looked like they were going to be difficult for them. Fortunately, the Bundesliga outfit have started the new season in much better shape. They beat Club Brugge 1-0 in their Champions League opener, and after six games in the Bundesliga they remain unbeaten in competitive football this term. They have won five of their seven games in the Bundesliga and Champions League, and once again seem to have returned to their unique brand of high-octane football. The same can’t be said of Monaco. They also endured a torrid Champions League season last term, also losing four and drawing two of their group stage matches to exit the competition far earlier than they were hoping. This came after they had reached the Champions League semi-finals the season before, which included a quarter final victory over Borussia Dortmund and a shock aggregate win against Manchester City. However, that success took it’s toll on Monaco. The youthful quality that brought them so much success, including a Ligue 1 title, has been quickly picked off by the top European clubs. Kylian Mbappe was one of the first to depart in a huge move to PSG, with Benjamin Mendy, Bernardo Silva, and Tiemoue Bakayoko also leaving that summer. This summer saw their haemorrhaging of stars continue, with Thomas Lemar, Fabinho, and Terence Kongolo all departing to leave them with a rather threadbare squad that was always very unlikely to repeat the successes of the 2016/17 campaign. That has proven to be the case for Monaco so far. They have won just one of their ten competitive games this season, a campaign that started with a crushing 4-0 defeat against PSG in their French Super Cup clash in August. They have lost six of these ten outings, and their last victory came almost two months ago in a trip to Nantes. Monaco’s Champions League opener was a 2-1 loss at home to Atletico Madrid, with them taking a surprisingly early lead but ultimately failing to protect that advantage. The chances are that they’ll struggle to deal with the attacking talents of their German hosts on Wednesday too. As is often the case, goals are the aim of the game for Dortmund. They have scored 22 goals in their eight games so far this season, including a huge haul of 11 goals in their last two matches. Five of their eight competitive games have seen at least three goals scored, and with half of Monaco’s outings also seeing three or more goals in total we like the look of a Dortmund Win and Over 2.5 Goals, along with a 3-1 correct score predictions. Borussia Dortmund are winless in their last four Champions League games at Signal Iduna Park (D1 L3), their worst ever run in the competition on home soil. 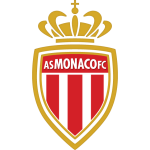 Monaco are looking for their first win in the Champions League since the quarter-final stages of the 2016-17 tournament, when they won both legs against Borussia Dortmund. Since those two victories, the French side have gone nine games without a win in the competition (D2 L7). Borussia Dortmund are looking to record consecutive victories in the Champions League for the first time since November 2016 (a run of three). Monaco’s last 13 games in the Champions League have seen a total of 51 goals scored (20 for and 31 against), at an average of 3.9 per game. Borussia Dortmund’s Marco Reus has been directly involved in 12 goals in his last nine home appearances in the Champions League (eight goals and four assists). Only Fernando Morientes (9) has scored more Champions League goals for Monaco than current club captain Radamel Falcao (8). Borussia Dortmund’s Jadon Sancho could become just the fifth English player to score a Champions League goal for a non-British club, after Michael Owen, David Beckham, Jonathan Woodgate and Steve McManaman (all for Real Madrid).